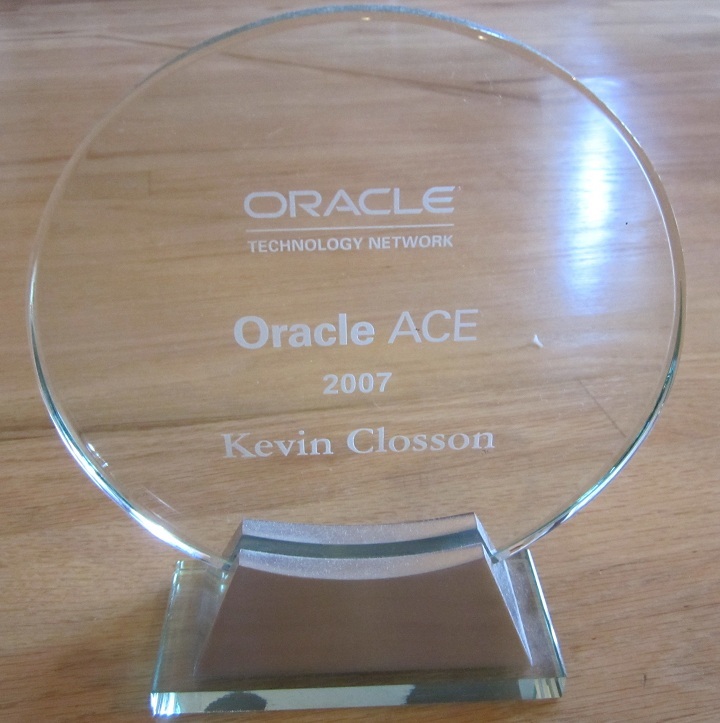 « Oracle RDBMS Technology is Old. It Must Be Obsolete! Disk Drives Forever! Blog a Lot, or Blog Not! When I first started blogging I was told that it is important to blog regularly-so I did. I’ve made over 170 posts that WordPress recons have been viewed some 200,000 times. But then my former company, PolyServe, got bought by HP. My blogging rate has plummeted, but the search engines seem to still be piling in the readers. I am not blogging as frequently because, honestly, I can’t figure out the balance between political correctness and interesting content. That is, I’m a bit overwhelmed trying to assimilate into HP culture. I don’t know what I can safely blog about without getting someone upset in the eleventeen layers of management between me and Mark Hurd (HP CEO). I remember feeling this way back in 1999 when Sequent (where I had done port-level Oracle work for some 10 years) got bought by IBM. The HP folks that maintain their blogroll invited me to complete a 30 minute training session on blogging at HP so they can list my blog there. I haven’t gotten around to that yet. I still have the final installment on my series on NUMA in the bull-pen. I think I’ll pound that one out today or tomorrow. In the meantime, how about some fluff. Over the Memorial Day weekend, the family and I joined up with my age-old friend Tom for some camping on his family’s ranch. With 2005 acres to stretch out in, camping on his ranch is what I call peace and quiet. Wildlife viewing is unbelievable up there. We saw well over 200 elk, dozens of deer, troops of wild turkeys, coyotes and a few rattlesnakes. The water was a little low for fishing, but we picked up some trout anyway. I’ll drop some photos in here. Anyway, glad to hear the next NUMA article is coming. Google searches led me to your previous articles on NUMA and Oracle on Linux, and I’ve enjoyed the information, your writing style and the level of technical detail. I’m setting up a handful of HP DL585s for Oracle RAC w/ASM (on SLES), so your articles have been very helpful. I hope someone in the HP chain of command can see the quality of what you deliver Kevin – you would think that a company who considers innovation to be one of its strengths, would be able to see that your insightful blog is a positive approach to gaining mindshare in an ever more competitive IT arena. From a personal perspective, I don’t think I’m alone in thinking it would be a loss to our community if you were not to post as often as you have. I appreciate the kind words very much…very much. As you can tell by my blogroll, I enjoy your blog as well! Man that is beautiful land. What state is that in? Northeast Oregon. Thanks for visting, Don.